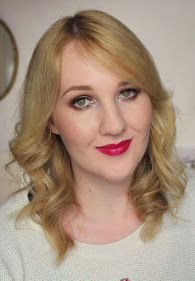 Today I have a guest post for you from my lovely friend Lexie from Nailgirl.net. Lexie always has incredible nail polish swatches and her lipstick posts are to die for as well. I highly recommend checking out her blog and her Instagram, @nailgrrl. 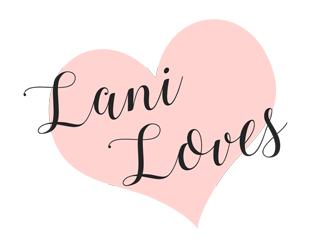 Thanks for inviting me to guest post, Lani! Today, I have a really unique polish in my collection to show you – Powder Perfect Maneater. It’s a teal holographic polish with teal glitters throughout, creating a really gorgeous iridescent effect. The holo effect in direct sunlight is much stronger than I've been able to show. Trust me, it’s gorgeous! Here, I've done two buttery coats with one coat of top coat. One of the things I really like about the formula is how the glitter is not so dense that it will create a rough surface, even when a top coat has been used. I couldn't stop staring at my hands when this was on – I haven’t worn any holos for a while, so this was a very welcome, very pretty change of pace. I purchased my bottle from Mei Mei’s Signatures, but Powder Perfect polishes are also available from Harlow & Co and Color4Nails. Thanks again Lani for inviting me to be one of your guest posters!